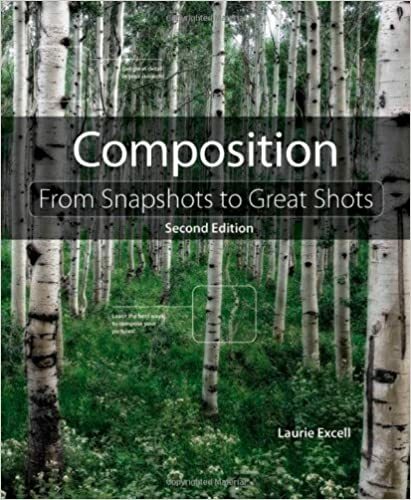 The most oft-advised technique to good composition is to use the rule of thirds. There are two aspects to the rule of thirds and understanding how they work and interrelate is not difficult at all. 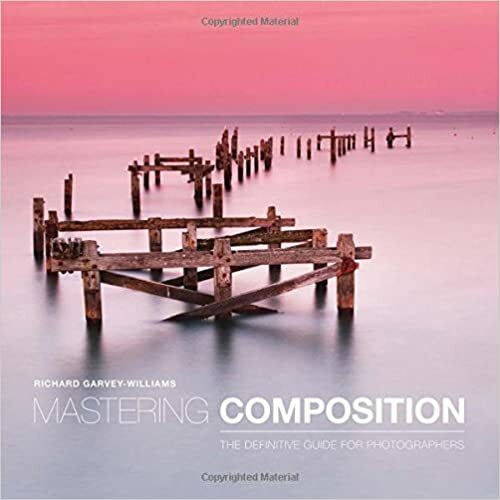 These elements are self-explanatory and although they may seem more appropriate for a landscape image, they can still be used and applied to other photos such as portraits or abstracts. Being aware of these three elements and how they should be positioned, isolated and enhanced will provide you with a basis to avoid the typical subject-centered image with a 50/50 split that many novices seem to do in the beginning. Yours truly has several of these types of images hiding away in a shoebox somewhere under the bed. The middle orientation probably has a lot to do with the central focusing sensor of cameras and people's tendency to lock focus and then just shoot. I do the Nikon Shuffle of locking focus on the subject and then recomposing the scene. If your camera allows you to remove auto focus start from the Shutter Release button, do it! This allows you to control when to AF or not and usually, the Shutter Release becomes an Exposure Lock button when pressed half way. You can focus on one subject yet meter for another, a great feature that more and more companies are copying from Canon. 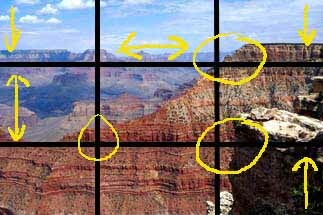 The rule of thirds that most photographers will tend to think of is the viewfinder grid division into nine sections, as seen here. 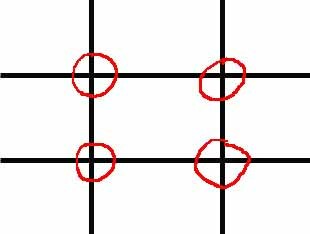 The central four points of the middle rectangle - outlined in red - represent the key points of the composition and it is at one of these four points that you would place an important subject matter. This concept of the rule of thirds is so prevalent and accepted that some companies are offering cameras with auto focus points at the important grid sections as above. The Contax 1N is an example of such a camera. There seems to be something about the rule of thirds that seems to provide humans with a just-right view of things. The rule of thirds can even be seen in the world of audio in which you have three main audio signals of treble, mid-range, and bass. Harry Pearson of the Absolute Sound Magazine is an advocate of the rule of thirds for speaker placement in which the listener is placed one-third of the way into the room and the so too are the speakers. It is a quick and dirty way of getting acceptable sound but not necessarily the best sound, from a given speaker and room combination. The advocacy of the rule of thirds is good one to teach learning photographers but it should not be a rule written in stone. For once, you know and recognize the rule of thirds, you will find it everywhere and it holds the danger of being routine and unoriginal as a 50/50 scene split or centered subject. Be bold and experiment for every subject will have a composition that could focus in on it and that may or may not be the rule of thirds. Therefore, while the rule of thirds is a quick and dirty method of getting an acceptable composition, it may not be the best method for your subject. 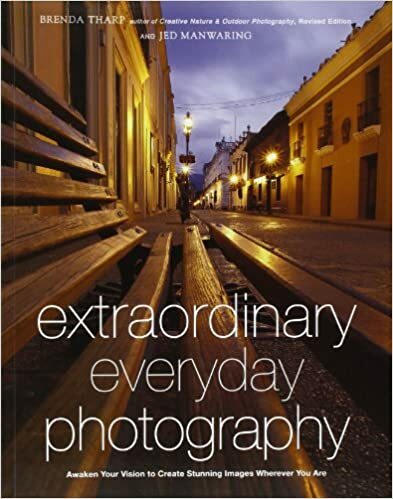 One of my favorite photographers is Richard Martin, a contributor to Canada's Photo Life magazine. 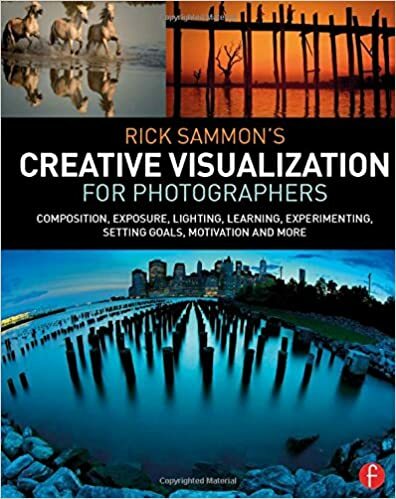 He advises photographers to not become overly tied down to rules otherwise the photographer runs the danger of doing everything the same and never being able grow beyond those restrictions. I find myself using the rule of thirds quite often but each image is unique and you should try to see the scene from different angles and perspectives. You may find that a rule of thirds composition is not the way to do the shot. Reading through the National Geographic Photography Field Guide can be enlightening thanks to the photographer profiles within the book. 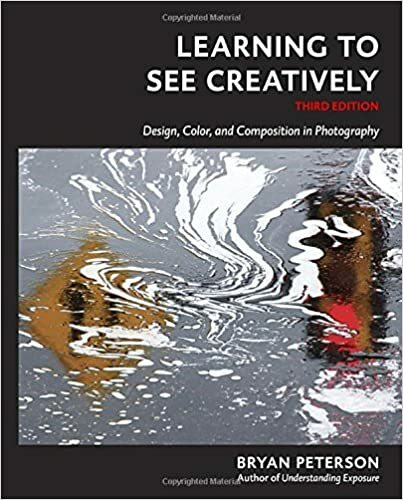 Two of the best, Michael Yamashita and William Albert Allard, indicate that they shoot through hundreds of slides in order to get just the right shot to convey the message or idea they have in mind. William Albert Allard considers the film and camera to be a sketch pad for him to try many different ideas and approaches to photography. The message? Simple, take the rule of thirds composition but do not stop at one or two shots but take many images and thoroughly work the subject if it is worthy enough. Now of course we all do not have National Geographic expense accounts that allow us to shoot hundreds of rolls of film for a trip or outing, so cost can and will be a factor. A digital camera would make the experimentation process much easier to bear. 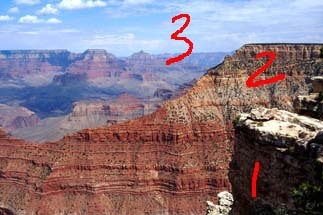 Take another look at the Grand Canyon shot with a rule of thirds grid imposed on it. I did not know about the rule of thirds when I took this shot in 1997 and the camera I used, the Nikon F70 did not have a grid screen in it - nor can it. The shot is full frame with no cropping. 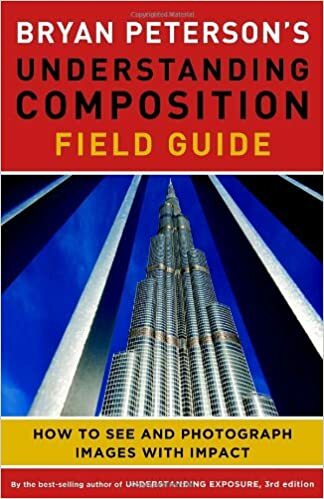 It would lend some credence to the notion that subconsciously, humans may see a scene a certain way and without any preconceived ideas of what is a "good" composition, they will gravitate towards those tendencies. You will notice that near the four middle points in the grid are some important elements to the scene. I am not suggesting that this is a wonderful image, merely that we may all have natural rule of thirds tendencies.